Rechargeable collars. Will work with dogs from 15 to 100 lbs. 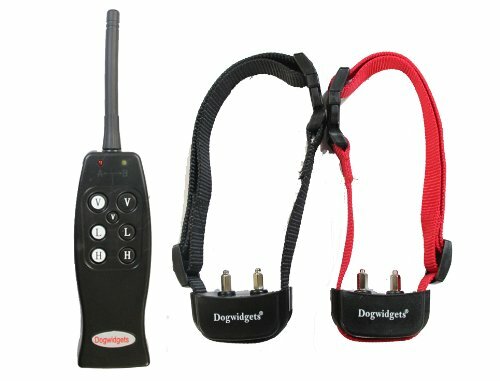 New dog training shock collar for 2 dogs by DogWidgets. Collars has 2 levels of shocks and 1 level of vibration and has 600 feet range. Collar will work with small, medium and large dogs from 15 to 100 lbs. 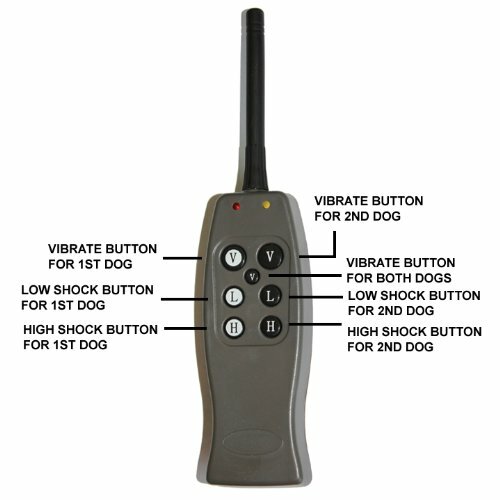 You can train your dog individually with a shock and vibration or correct your 2 dogs at the same time with a vibration. Use this collar for basic training, jumping on people, chasing cars and barking. Very safe and humane. 2 levels of shock(Low and High). 1 level of strong vibration for each dog. Correct 1 dog with a shock or vibration or correct both dogs at the same time with a strong vibration. 2 straps adjustable from 12 to 20 inches long. dual charger for the 2 receivers. 2 sets of rubber and metal prongs for the receivers and 2 sets of long metal prongs for long haired dogs. 2 shock tester and user manual. 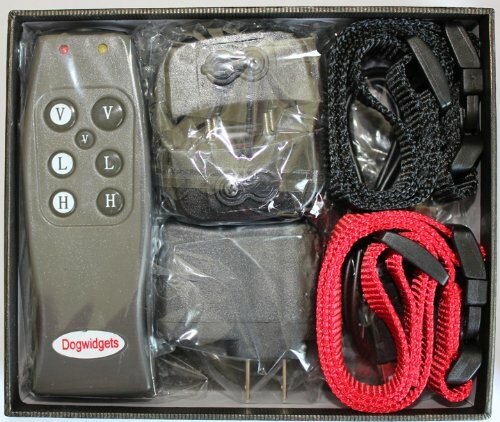 6 months replacement warranty and fast technical support from DogWidgets.